This is a cheeseburger. In a can. 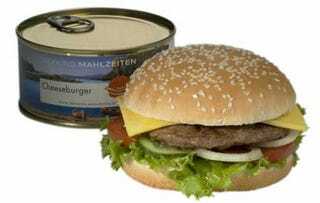 It's a cheeseburger in a can.